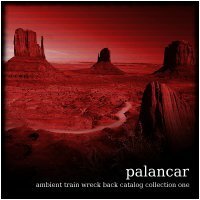 The first release in the series of Ambient Train Wreck back catalog releases by ambient/electronic artist Palancar. Palancar has become my new favorite artist, to me every session is unique and interesting. On this album i specially like the track 1 "April 29, 2006", so deep Thanks to Earth Mantra for letting me access this superb music.